Ritsu Tsurumaru lived near Kokubu No. 2 Naval Air Base, from where many kamikaze pilots took off on suicide missions just before and during the Battle of Okinawa. She received two visits from Flight Petty Officer 2nd Class Nobutaka Inoue and his friends during the evenings of April 25 and 27, 1945. Inoue sortied from Kokubu No. 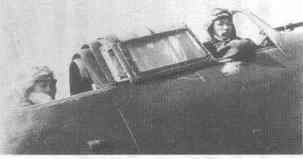 2 Air Base on April 28 on his mission as part of the Kamikaze Special Attack Corps 3rd Kusanagi Squadron. He flew as navigator in a Type 99 Carrier Dive Bomber (Allied code name of Val). This is the first time to write. Just now I said my goodbyes at the takeoff of your son Nobutaka's noble plane. I waved a rising-sun flag tied to the end of a long bamboo stick as my tears overflowed and fell to the ground. Last night I told him, "Even if we women cannot see you in your plane from our yards, we will wave rising-sun flags with all our might." He promised, "We will fly low over the place where you are standing." Since his takeoff was scheduled after lunch, when noon passed, my family, the next-door neighbors, and the ones next to them earnestly waited for the roar from the hilltop airfield to the west. When 3 o'clock rang, soon Nobutaka's plane and another one bravely flew low directly over my house with a loud roar toward the southern skies. I rinsed out my mouth and washed my body. Then I prayed for their success before the household altar. I wanted his parents to hear what happened, so I picked up a pen to write this poorly written letter to you. Please listen. The first time I met Nobutaka was 4 in the evening on the 25th. He visited the home of my husband's older sister, who lives right next to me. When I saw the three young men, my heart beat fast since this was the first time for me to see uniforms of tokkōtai (special attack forces). My sister-in-law was unfortunately away from home, so they came to my house. That evening they told stories and sang songs about carrier bombers and taiatari (literally "body crashing" or suicide attacks). I could not imagine at all that these were men with only a few more hours of life remaining. Pleasant Nobutaka was calm and sweet to the end. However, when the three of them sang together the following song about taiatari, I couldn't keep back my tears. I asked them to please stop by again if they could leave the base before their grand sortie. Last night we went to sleep early since we could not even put on the lights due to continuous air raids in our area. After 11, I jumped to my feet when I heard someone calling my name. There were more young men than even the other day, as five persons were standing in the yard in the moonlight. They all went to the trouble of slipping away secretly from over the hill far, far away about four kilometers distance in order to come to say their final goodbye. Seeing their graciousness without making a big deal of their generosity, for a while no words came out from me. Please imagine it. I recognized them in the bright light of the moon near the horizon. Nobutaka said, "I really miss my mother." Then everyone joined in, "Yes, I surely miss my dear mother." As they gazed at the moon on the horizon of the faraway skies, their thoughts went back to their hometowns. Seeing them, I understood what feelings they had as they looked. Nobutaka, still only a tender 18-year-old youth, was to carry out a great magnificent work and calmly sacrifice his life for his country even though not yet an adult. "Since you have precious bodies, please sleep a short time," I told them as I laid out futons on the floor. "Ah, those futons look nice," they said happily. "Please wake us up at 4." As they lied down for a while, they talked and sang, but before I knew it they were sleeping peacefully. They slept more than an hour. I could not help but cry again at their sleeping faces and their breathing while sleeping. By the light of the moon, I cooked some azuki (red beans) and made some sekihan (rice steamed with red beans) and soup. It was a plain but heartfelt meal. It didn't seem like the hands on the clock were moving as fast as usual. They slept well until 4, and there truly was a pain inside my breast as I woke them. Since I did not even have alcohol, I served them hot tea and warmly celebrated their departure. I said that I wanted to go with them until they reached the airfield on the hill, since I wanted to give them a small sendoff. They said the following kind words, "It's OK since it is cold." Their figures finally disappeared at the edge of town. I had been wanting for some time to meet the young men of the Special Attack Corps. I was truly delighted to take care of them with my whole heart even though there were only two or three for a short time. It was a happy and much appreciated occasion. In the evening when I first met them, I felt that I had seen the faces of everyone somewhere once before. When I told them it seemed like it was not the first time I had the honor of seeing them, Nobutaka jokingly said, "It was in a previous life. We met in a prior existence." As I replied, "yes, for sure," I thought that even a chance acquaintance is decreed by destiny. Today was a fitting day for your son's sortie with truly beautiful green and bright fine weather. My 17-year-old oldest son made a large red rising sun on our roof that could be seen from the sky. Nobutaka recognized the rising sun flags that we were waving. Even if he did not recognize them, I pledged within my heart that he please go with calmness in spirit since we at all costs will persevere to surely win this war without fail. It is already past 4. As I wonder over what seas he may be flying now, my tears are dropping. Please read my scribbling. Finally, I express to you my deep respect and appreciation from the bottom of my heart as the parents who brought up such a fine person as Nobutaka. Let us all strive together. I hope you are doing well. Goodbye. The letter and photo are from Iwamoto and Tsutomu (1992, 90-5). Kiyoshi Iwamoto kindly granted permission for their use. 1. A white wooden box was how the Japanese military usually delivered the remains of war dead to their families. In the case of kamikaze pilots, the remains such as fingernails or hairs from the head would often be prepared in advance. There are also cases where the white box would arrive at the family's home with no remains. Iwamoto, Kiyoshi, and Tsutomu Mukaida, eds. 1992. Chinkon -- shirakumo ni norete kimi kaerimase: Tokkō kichi daini kokubu no ki (Repose of souls -- riding on the white clouds, come back to us: Record of Special Attack Corps Kokubu No. 2 Air Base). Mizobe Town, Kagoshima Prefecture: Jūsanzukabaru tokkōhi hozon iinkai (Committee to Preserve the Jūsanzukabaru Special Attack Corps Monument).